Gage Mansion is as difficult to find as it is to pin down. Google Maps directs would-be visitors to a bed-and-breakfast in Pennsylvania. You can drive by it a hundred times without seeing any evidence that the place exists. 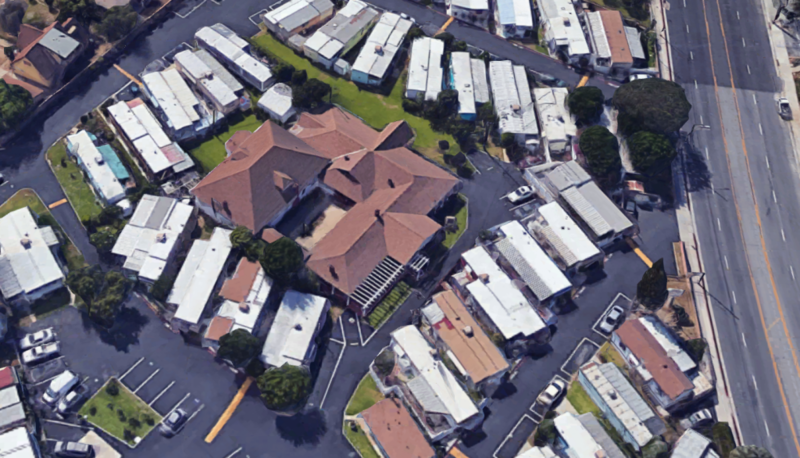 But there it is, tucked among 56 mobile homes in Bell Gardens: the oldest home in L.A. County and a state historic landmark, owned and operated by the Casa Mobile Home Co-Op. The single-story adobe was built in 1795 by Francisco Salvador Lugo, once one of Alta California’s largest landholders. For nearly a century the 6,700-square-foot house was the headquarters of a working rancho that grew smaller and smaller as it was divided up and sold off. 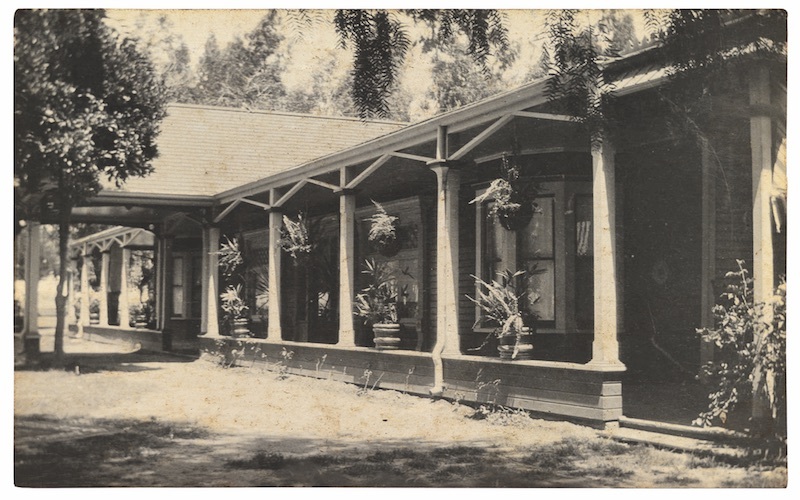 In the 1880s, the home was given to Henry Gage (who would become California’s 20th governor) as a wedding gift when he married into the family. A Lugo descendant owned and managed the trailer park and lived in the ancestral home until the early 1980s. To survey the house is to witness centuries of design trends: Inlaid parquet floors and ornately tiled fireplace surrounds lead to a hallway with orange shag carpeting, while French fabric wallpaper adorns rooms that sit hard by others with faux-wood paneling. The gables and wood siding outside were elements of a Gage-era remodel. For Ruiz, this is about more than money; it’s about heritage. The house embodies “two different cultures,” he says: “The Spanish and the American.” Originally from Jalisco and descended from Spaniards, he feels he and the house have a shared history. Ruiz can hardly bear to think bigger but admits what he really wants: to see Gage Mansion fully restored, a proper museum. For now he’s settled for spending a lot of time on the internet, digging for old stories to tell the mansion’s few visitors. “Who else is going to do it?” he says.